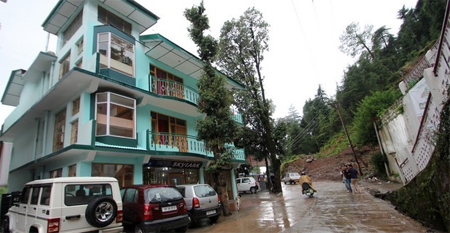 Nestled in the soothing shade of the Dhauladhar range, Hotel Surya Mcleod is a perfect example of the picturesque beauty and peaceful magnificence that represents McLeodganj as a vigorous tourist destination and the immaculate seat of "His Holiness- The Dalai Lama". The welcoming warmth of Hotel Surya Mcleod grabs attention of the travellers from across the globe. This comfy hotel is positioned in the close proximity to the main tourist attractions of the region. Presenting a list of standard and elementary facilities to the guests, the cosy hotel gratifies the travellers with sheer fervour. Conscientiously designed, comfortable rooms of the hotel are set down with all the vital amenities rendering an affable stay to the guests. The luxurious interiors of these spacious rooms are dazzling and the rooms are well-equipped with fine furnishings as well. The persuasive landscape of the surroundings can be relished from the windows of this hotel. To describe in few words, this comfy hotel goes all-out to make the stay of the guests stupendous and cherishing. The relaxing hotel encompasses Deluxe, Super Deluxe and Deluxe Suits that are pleasingly laid and planned with attractive interiors and world class amenities. The extravagant facilities offered in the rooms ensure a cool, calm and collected stay of the guests. The 24/7 room services offered in the rooms of the hotel are Cable TV with international channels, attached bathroom with running hot and cold water, coloured televisions and EPABX with direct dialling facility, etc.